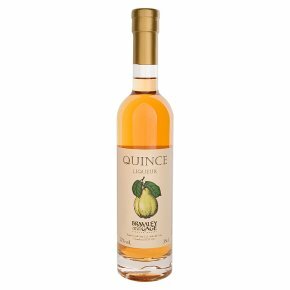 A quince-based liqueur that has rich fruit flavours of date and fig. The fruit used is the European quince rather than the less fine Chaenomeles or Japonica varieties, giving a liqueur with finesse. This would be a superb drink to serve at the end of a meal either with dessert or on its own.